Novelist Tuten (Van Gogh's Bad Café), now in his early eighties, here looks back to memories of his youth and growing up poor in the Bronx in the 1950s. The author and his immigrant Sicilian mother were abandoned by his father when Tuten was only 11, and here he relates his hardships with family and friends, including many losses and loves. Early on, Tuten tells of when he decided to become a writer, and how he made his own way from high school dropout to attending City College, at times struggling for food and shelter. Some of the people who encourage and befriend him are portrayed as somewhat fantastical, including the painter John Resko, who was charged with murder in his teens and sentenced to die in Dannemora prison but pardoned by then New York governor Franklin Roosevelt. 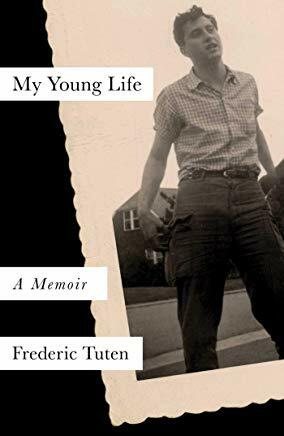 Tuten's stories are mostly drawn with warmth and love, but occasionally, in the footnotes, as he recounts what happened to his family and friends, the author seems a much colder and remote person. VERDICT This story of the intellectual development of a budding writer is fascinating, funny, and a delight to read.